What’s a hypothyroidism prevention diet? What should I avoid in my diet ,I have hypothyroidism? I don’t have a thyroid problem but many in my family have thyroid disease.What should I do to prevent hypofunctioning of the thyroid? I am overweight and borderline hypothyroid.What should I avoid eating? What should I eat to keep my thyroid active? These are some of the frequent questions I face while taking care of people with a thyroid problem. I realized that with the wholesale addition of variety of soy protein additives in our diet, we are all at risk of thyroid suppression. So the best way to fight this is increased awareness. Lactose free baby food often has soya derivative as the main component. The baby gets a hyper dose of soya which can suppress the thyroid gland. Poor cognitive development and variety of other health issues. Cows milk may have a high concentrate of soya protein end products , as soyabean is a cheap cattle feed. Many ready made bakery items ,biscuits ,snacks use soya as a cheap filler . What about superveggies like Kale? Kale has thiocynate which is a known thyroid depressor and goitrogen. There are inadequate studies about the exact amount of thiocynate in Kale. Actually moderation is the key.Having Kale cooked or in a salad is great for its health benefits like calcium, vitamin C, iron, fiber, and antioxidants. But kale juice may concentrate this thiocynate in significantly high number .This makes it difficult for your thyroid to be it’s usual active self. Having 5 portions of fruits and veggies is good for your health. When Is Kale a problem? Excessive kale may be a problem. If you already have an underactive thyroid . If you have a family history of thyroid disease. Vegetarians,vegans may have a higher risk of depression of thyroid gland . So we are being flooded with thyroid suppressing antinutrients. Can I get better with homeopathy/ayurveda/naturopathy? The answer to these questions are searched for on platforms like Lybrate repeatedly. So I decided to give a brief outline of what helps in Hypothyroidism. There’s no getting round this. Hypothyroidism is also a little known reversible cause of sensorineural hearing loss. If you have already done these testsShare on lybrate I can help you better. Any history of alcohol intake /fatty food /sugary food. How much exercise do you get done every day? Ideally, you should be doing a good mix of cardio , weights, and crossfit , yoga to keep you healthy ,fit and flexible. At least 40 minutes per day. Avoid deep fried fatty food and fast food. No soft drinks /sugary drinks. 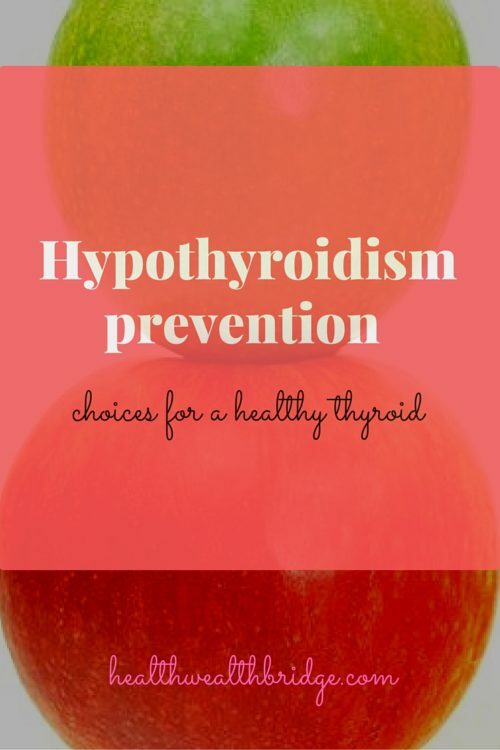 I am outlining food you should avoid or restrict in Hypothyroidism. It’s important you maintain your body weight exercise regularly.Weight gain increases thyroid hormone requirements. Avoid cruciferous group of veggies like cabbage and broccoli. Avoid soya bean in all forms.No soya , nugget,chunk,tofu or milk. Brussels sprouts, cabbage, cauliflower, kale, turnips, and bok choy. Cooking the vegetables can reduce the effect that cruciferous vegetables have on the thyroid gland. Limiting your intake to 5 ounces a day appears to have no adverse effect on thyroid function. Decrease gluten intake from processed food. Avoid excessive fatty (deep fried)and sugary food as hypothyroidism causes your metabolism to slow down &weight gain. Coffee in excess.And coffee with thyroid hormone replacement can prevent absorption. Alcohol: It is toxic to thyroid gland and prevents hormone production and absorption. The problems of hypothyroidism gets better with medicines, diet, and exercise. You will start gettingbetter as the levels of your hormone normalizes. Will you have to repeat the thyroid hormone test? Yes you will need to regularly check your TSH level to titrate the thyroid hormone level. Initially, you need to do the TSH test (THYROID hormone test)every 6 weeks till normal TSH then every 3 months. Diet, Excercise, Medicines, Sleep, Meditation :5 pillars of health needed to live the healthiest. Thanks for the information. You have mentioned so many important facts which we need to keep in mind. Saving this for reference. Very helpful post, Amrita. I know someone who suffers from this, so I will definitely share this post with them. This is a really great post Amrita. I had no idea that soya can be bad. I’m sharing with my near and dear ones! My mother is having hypthyroidism and she would love to read all the information which you have shared through this post. I will pass your post to her! Thanks Ana .I would be happy if this helped your mom. Great post! Hyperthyroidism can be an awful disease to live with, this will help many. Such an informative article. I do know of a couple folks to whom this might be helpful. My mom has dealt with thyroid issues in the past, so I will be sharing this article with her. Thyroid issues are so prevalent and can be very difficult to deal with…thanks for this helpful info! Vegs. to avoid are surprising to me. I eat and drink KALE all of the time. And love cabbage and Brussel sprouts. Something important to keep in mind, I learned a lot from this article, thanks! Kale has thiocynate which is a known thyroid depressor and goitrogen.There are inadequate studies about the exact amount of thiocynate in Kale.Actually moderation is the key.Having Kale cooked or in a salad is great for its health benefits like calcium, vitamin C, iron, fiber, and antioxidants. But kale juice may concentrate this thiocynate in significantly high number and make it difficult for your thyroid to be it’s usual active self. is good for your health. 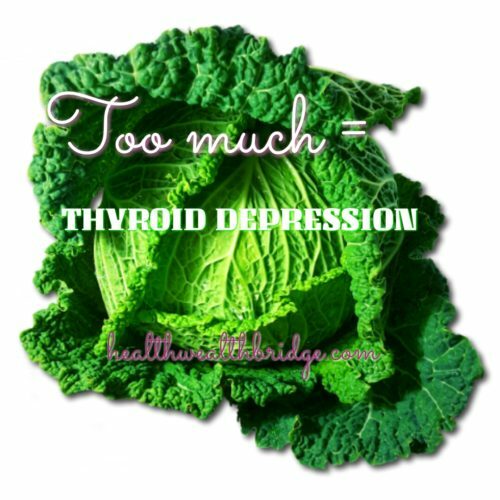 Excessive kale may be a problem.Plus people who already have an underactive thyroid or has family history of thyroid disease,vegetarians,vegans may have a higher risk of depression of thyroid gland. Such a great and informative post. I’m sharing this with a friend who has hypothyroidism. I don’t have a thyroid problem but found this article really interesting!! Great information shared!! This was very informative! Thanks for sharing the wealth of info. A very informative post. My family has always had a history of thyroid issues so it’s something that concerns me. Great information about a potentially serious problem. It’s very good of your to disseminate this information. Very informative! Great post! This intense. As i read this, all I could think was “man what CAN you eat? ?” Are there any warning signs that indicate you should be worried about your thyroid? I had no idea some of the foods that you should be avoiding or limiting if you suffer from hyperthyroidism. You think that because it is green or “healthy” that it is probably always a good thing. Really good tips. Luckily I don’t have thyroid problems but this was a very interesting am interesting post. I had no idea that people with thyroid problems should avoid broccoli and cabbage. Thanks for the information. My mom suffers from hypothyroid and I have often wondered how much diet plays a role in the disease. She used to eat a lot of salads with kale before her diagnosis. It wasn’t until a year later that we learned eating kale and such veggies uncooked can actually damage the thyroid! Thanks for sharing this information and getting the word out. Because information is power! I know I am risk for hypothyroidism due to a long history of taking lithium. I have regularly had my thyroid checked with nothing negative showing as of yet. I certainly hope it stays this way, though, as the diet restrictions considering brussel sprouts and cauliflower are two of my favorite veggies would definitely make me sad.